Josh Radnor Wife, Age, Height, Net Worth, Girlfriend, Is He Gay? 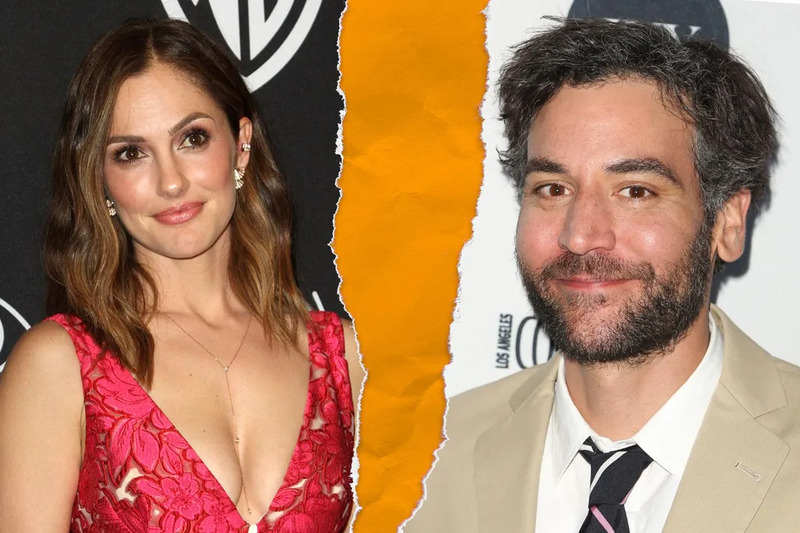 Home Actors & Actresses Josh Radnor Wife, Age, Height, Net Worth, Girlfriend, Is He Gay? If you are an ardent follower of the popular Emmy Award-winning American sitcom How I met your mother you must also have known it’s lead character Ted Mosby whose real name is Josh Radnor. The actor has made appearances in 8 films, 13 TV series, 6 stage plays, 1 music video and also collaborated with Ben Lee to release an album in November 2017. In this post, you will get a broader understanding of the events of his life like his bio, background, filmography, who his girlfriend could be or if he is gay as rumored. Joshua Radnor was born on the 29th of July in the year 1974 in Columbus, Ohio to school guidance and counselor mother, Carol Radnor, and a lawyer dad, Alan Radnor. He is the first son in the family of three which includes his sisters Melanie Radnor and Joanna Radnor Vilensky. He was raised in a traditional Jewish family and attended Columbus Torah Academy, thereafter he schooled at Bexley High School from where he graduated and enrolled into Kenyon College bagging a Bachelor degree in Arts. Radnor had a passion for performing in theatre in him right from his school days. He performed in his school’s stage works for which reason he was awarded the Paul Newman Award in 1995 by his school’s drama department. Josh Radnor bagged a Masters in Fine Arts degree from the New York University Graduate Acting program in the year 1999. Josh was a devoted Judaist; he attended Livnot U’Lehibanot an Israeli educational and volunteer program in Tzfat (pronounced Safed) in 1997. His acting debut came in 2002 in the stage remake of the 1967 American romantic comedy-drama The Graduate. He was selected as a replacement for comedian Joshua Briggs and featured alongside double Globe award winner Kathleen Turner and Alicia Silverstone. In 2004, Radnor was featured along with Neil Patrick Harris in the play The Paris Letter before starring in what is presently his most popular TV appearance How I Met Your Mother which began airing from 2005 to 2014. Radnor performed in a play Finks opposite American actress and screenwriter Jennifer Westfeldt. His very first effort as a director came in 2010 when he directed and starred in comedy-drama Happythankyoumoreplease. The movie won the Sundance Film Festival Audience Award, it was also nominated for the Grand Jury Prize. He followed that up with his second one Liberal Arts again starring alongside Elizabeth Olsen which was aired in January 2012. Josh Radnor was then cast with Broadway production play Disgraced in 2013. The multi-talented actor and film director ventured into music in October 2016 when he joined Australian actor/musician and former Noise Addict band member, Ben Lee; their debut album titled Radnor & Lee was released on the 10th of November 2017. He is expected to be the director of the movie The Leaves. We can not wait to see how this Science Fiction pans out. The Award-winning writer, actor, producer and director has an estimated net worth of $20 million. Josh Radnor’s most notable role was in the comedy series How I Met Your Mother. With more projects set to come the actor’s way, his current net worth will definitely increase. Who is Josh Radnor’s Girlfriend, Wife or is He Gay? Radnor isn’t off the market yet but has been romantically linked in the past with a chain of actress including actress Lindsay Price who he dated from 2008 and broke up with in 2009, then Julia Jones of Twilight in 2012. The actor then started going out with actress Minka Kelly famous for Friday Night lights and Charlie’s Angels in December 2016 but they parted ways in February 2017. The creative film director and producer’s personal life is on the low as of now, perhaps he is single or keeping his love interest on the low haven gone through a handful of breakups in the past. Given the list of women the How I Met Your Mother star had dated in the past, it is funny why anyone will label him gay. Yet that’s one of the occupational hazards of being a celebrity – rumours find their ways to you eventually. Radnor is not gay, he is straight and might even marry his current girlfriend if everything works out. The baby-faced actor and director stands at exactly 6 feet (1.83 M) in height and weighs 75kg (165lbs). Josh Radnor is dark-haired and occasionally spots a full beard.